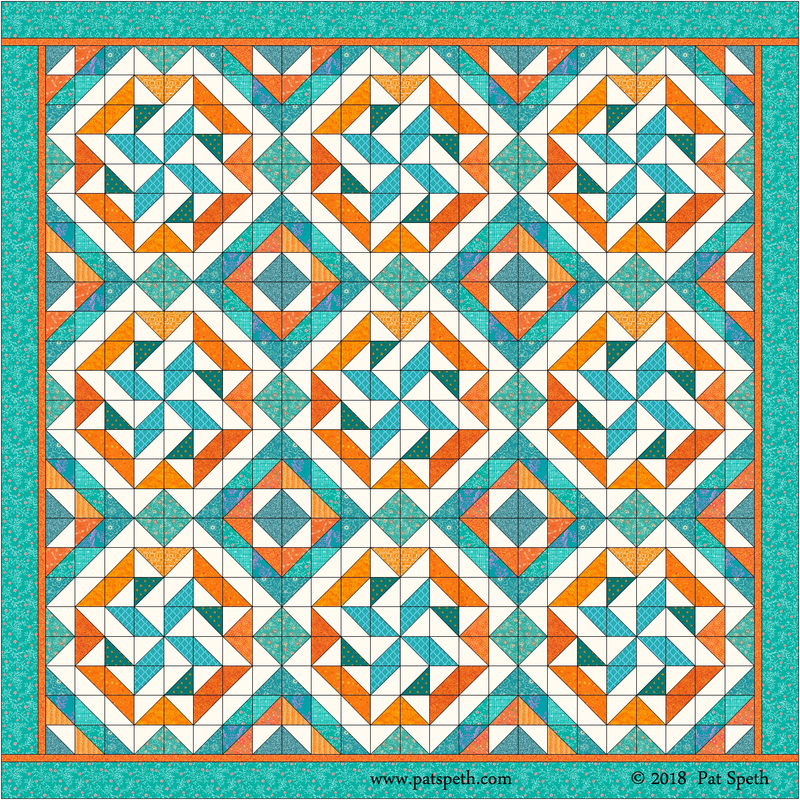 This blog contains the information on making the Disappearing Broken Dishes block from 5″ squares. 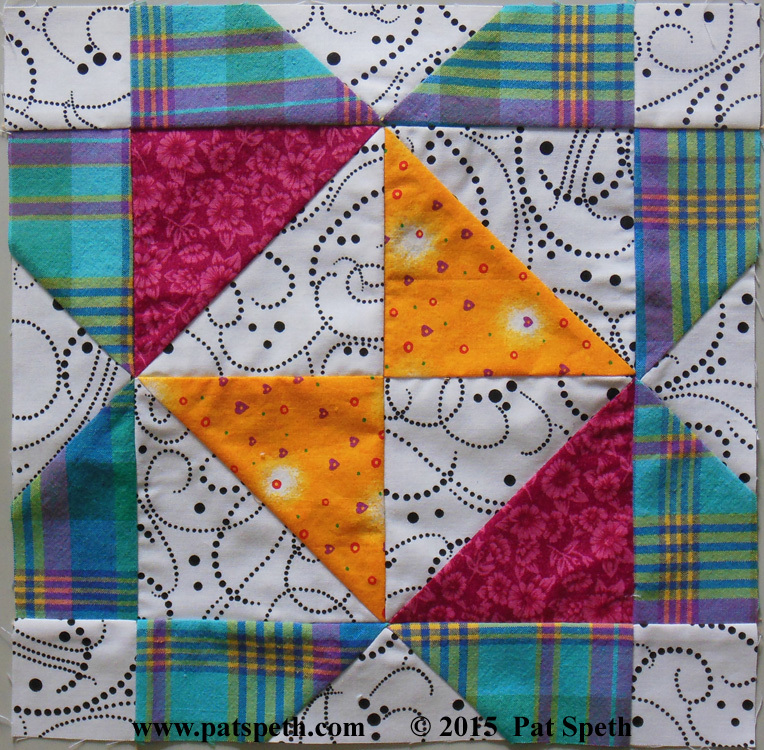 The block will finish 7″ and will not have bias edges! 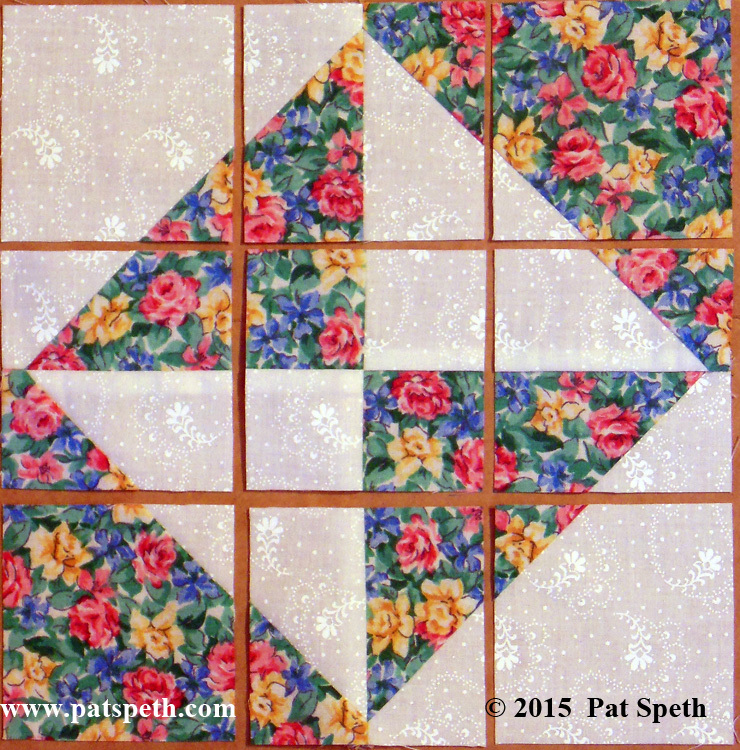 I know many refer to this block as the Disappearing Hourglass but I already have several sample disappearing blocks made from what I usually call an Hourglass Block. This is the block that I normally picture when I think of an Hourglass Block . And below is the block I’m starting with and I normally think of this block as the Broken Dishes block so that’s why I’m calling this the Disappearing Broken Dishes block. 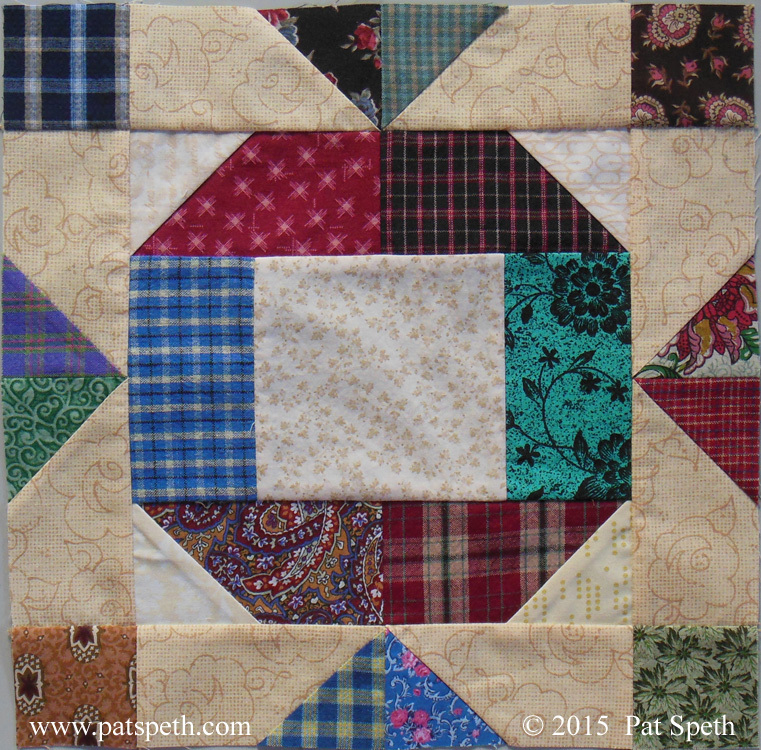 All you need to make this block is two 5″ squares of a dark or medium fabric and two 5″ squares of background fabric. 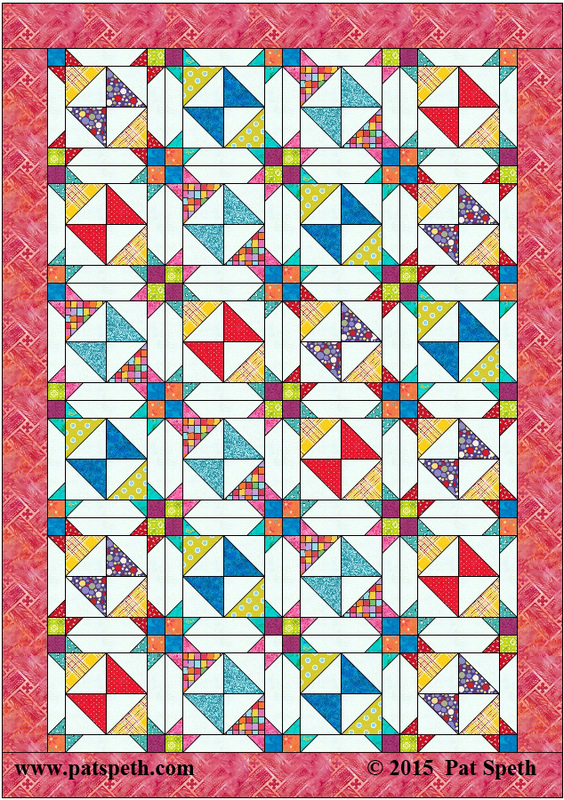 Sew these squares into half-square-triangles and square up to 4 1/2″. If you need detailed instructions on how to do that you can find that information here on a previous blog post of mine. 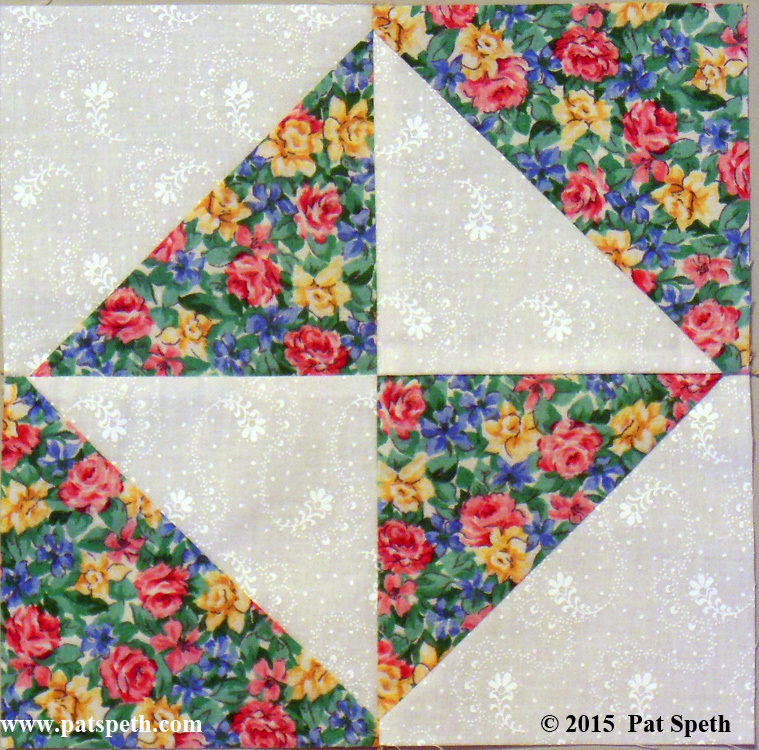 Sew the four half-square-triangles into the block as show below. This block should measure 8 1/2″ at this point. 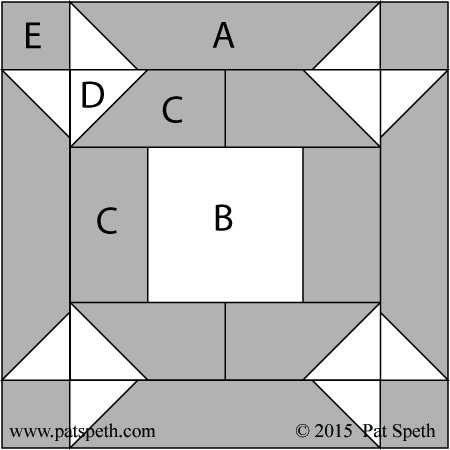 To make the disappearing block we need to cut this block into three equal sections in both directions. Now if you happen to have a calculator handy you will see that 8 1/2″ divided by 3 is not a nice easy measurement to work with, it’s 2.83333, what kind of a measurement is that! It’s not 2 7/8″ (2.875) and it’s not even 2 13/16 (2.8125). So in my world I say it’s a couple of threads less than 2 7/8″. 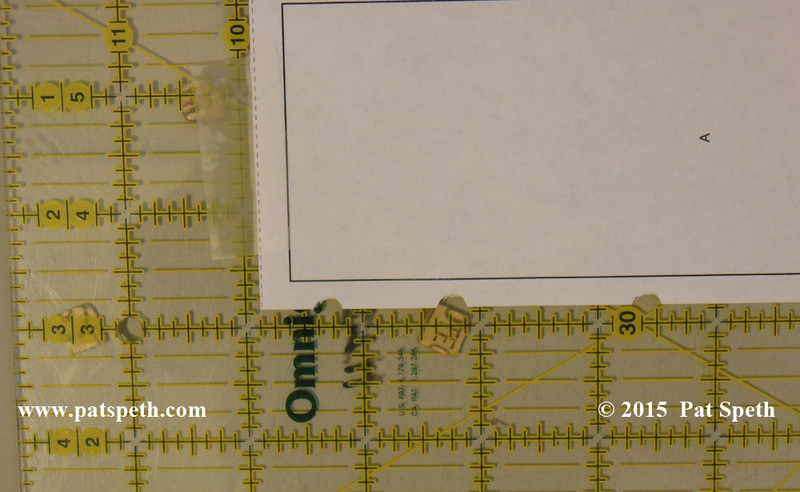 Don’t panic yet, the good news is that you only need to measure a piece of paper to that size once and use that as your template. 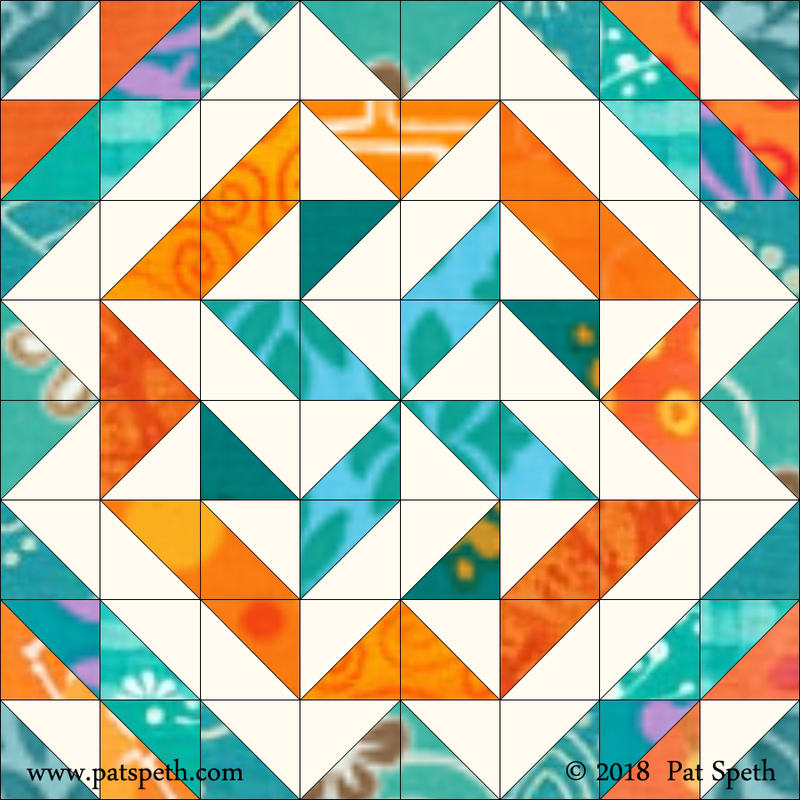 I have Electric Quilt so I just drew a 7″ finished sized block, divided it into three equal parts and had Electric Quilt print a template. 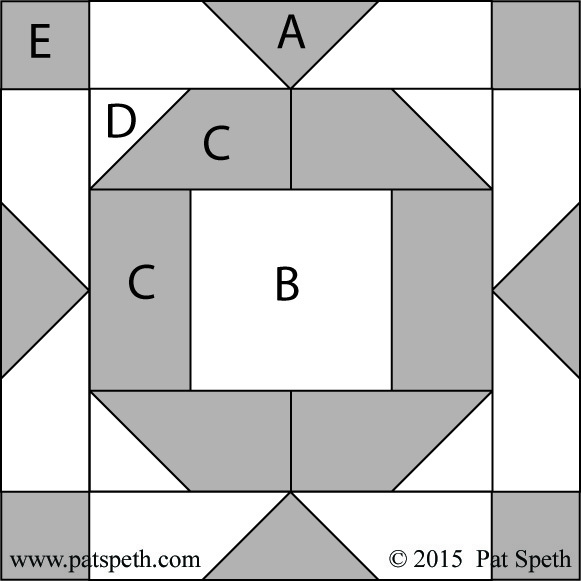 Cut the block into nine equal pieces. 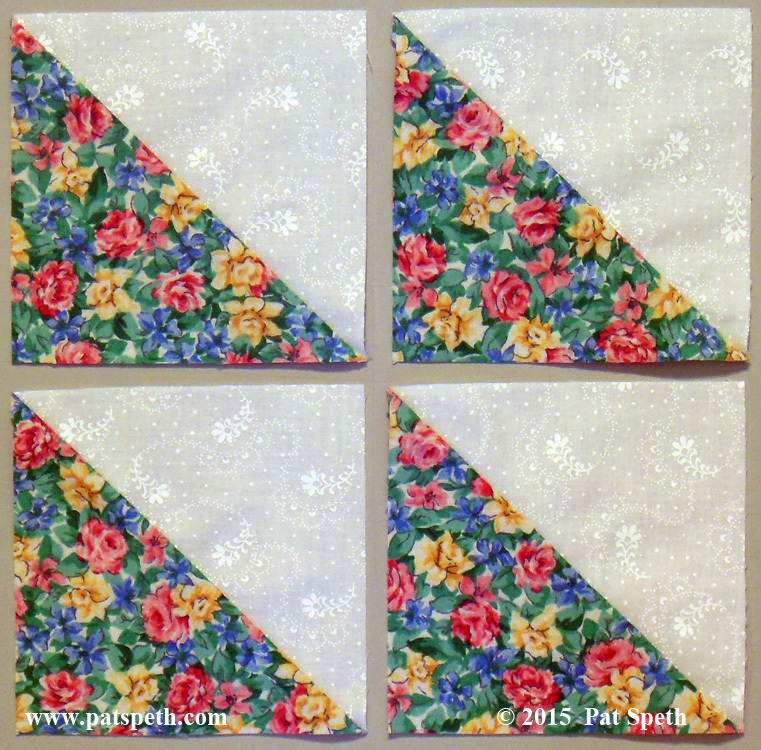 Arrange the pieces as shown below and sew together. I have played with the Jack and Jill blocks from the Deli Geese Block Project creating possible layouts. 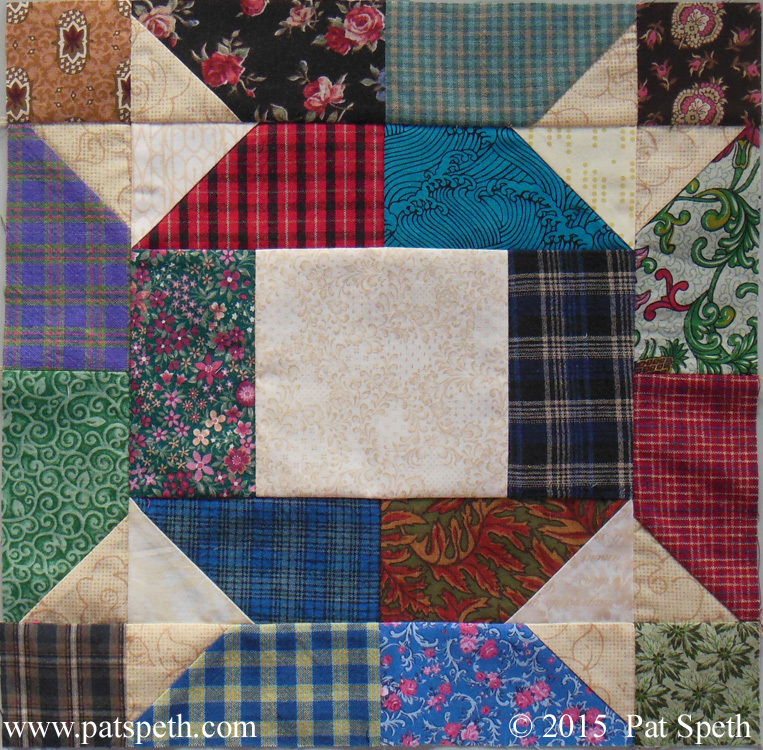 I will be the first to admit that not all the pairs of blocks work well together in a quilt. 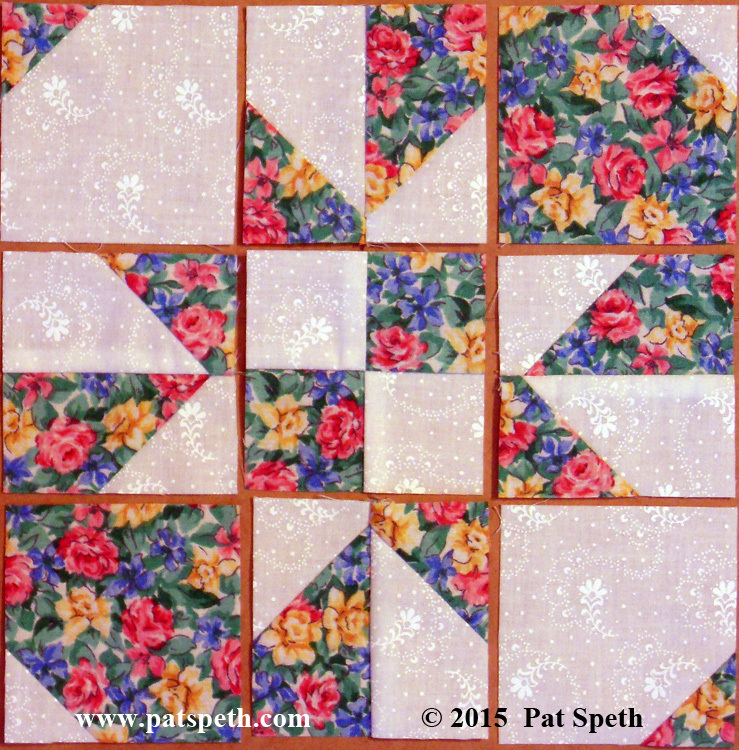 If I were setting the Jack and Jill blocks together in a quilt I might go with this setting, on point and sashed. These blocks of course would look great on their own. 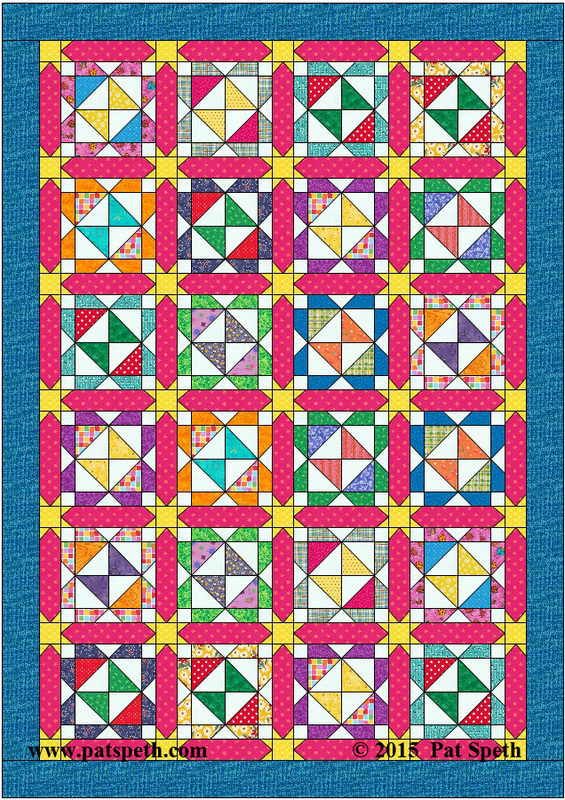 This is Jack, Block #51, with sashing that forms stars at the corners. Below is my first attempt with Jill, Block #52. 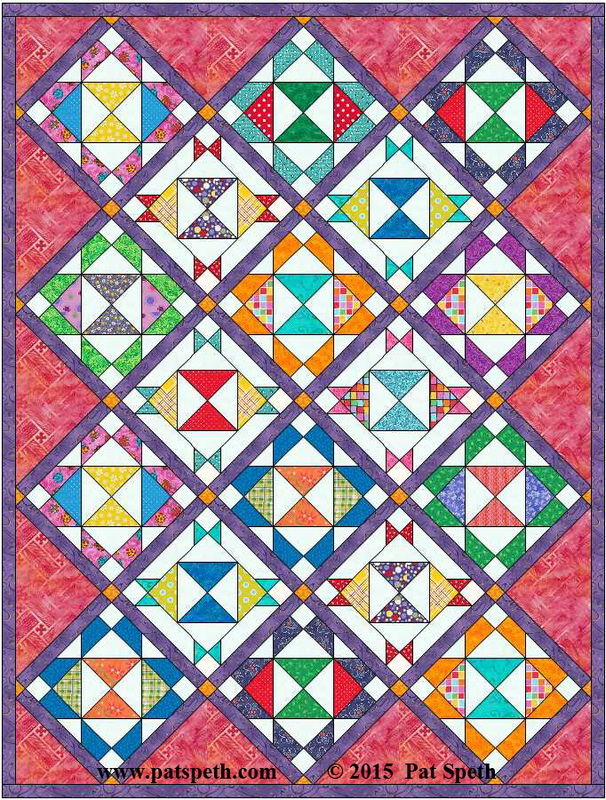 Set just block to block and row to row, a very cheerful quilt! 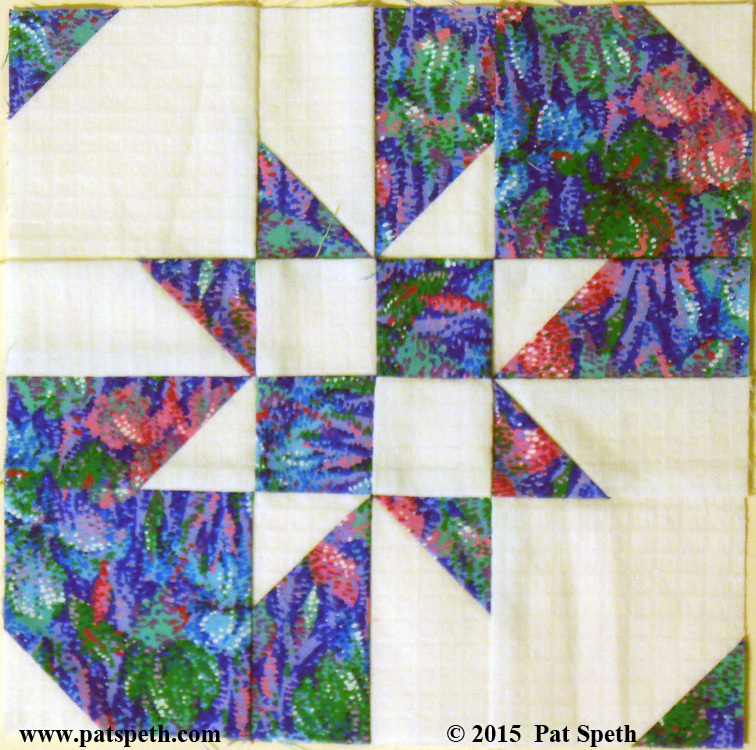 With a just a little altering of the original block, adding print fabric in the corners I now have created four patch stars as a secondary pattern. Enjoy these setting ideas and try them out on any of the blocks in the Deli Geese Block Project! 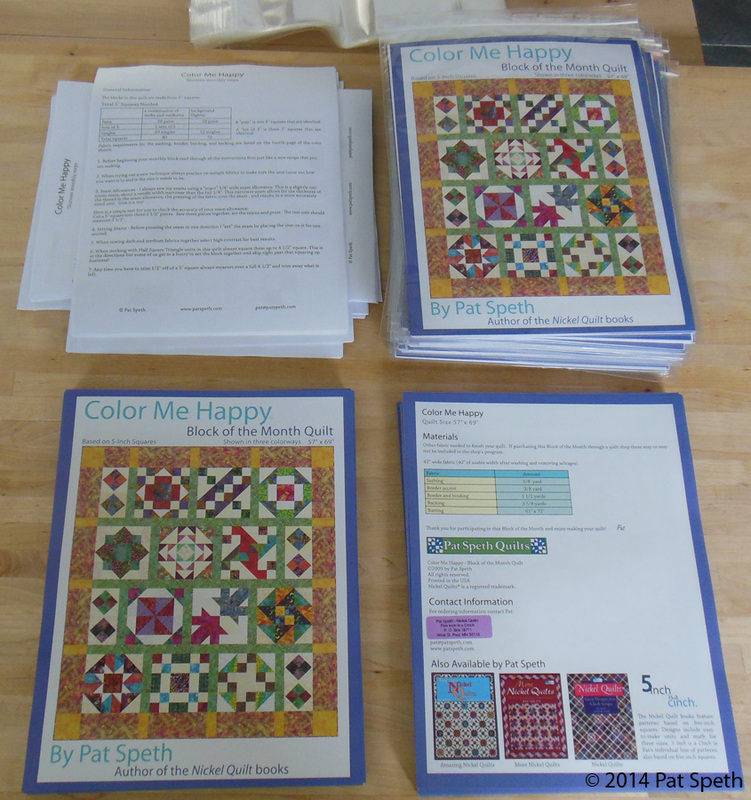 These quilts as well as many others in the Deli Geese Block Project use 5″ squares. 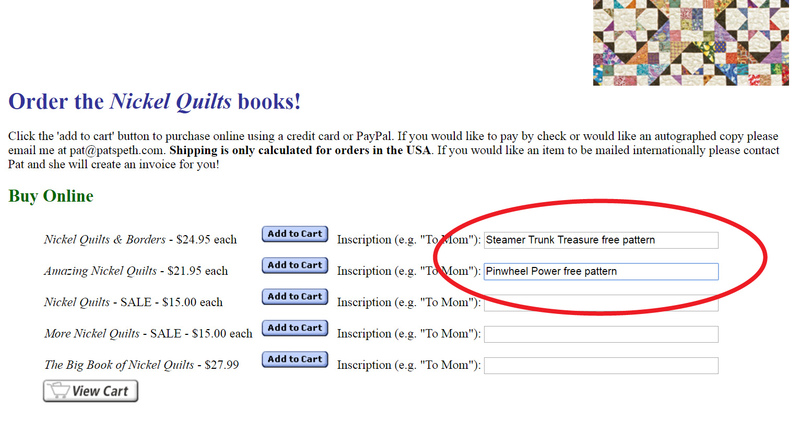 It’s a great idea for charm packs, layer cakes, and of course stash fabrics. 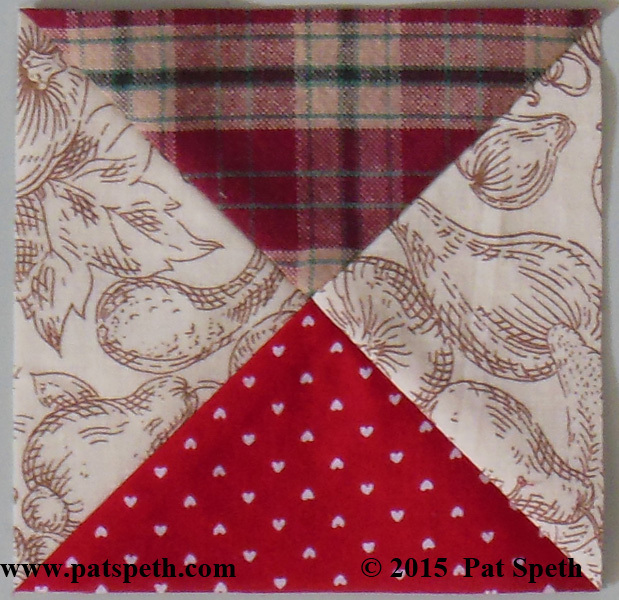 Here is block number #51 of the Deli Geese Block Project! 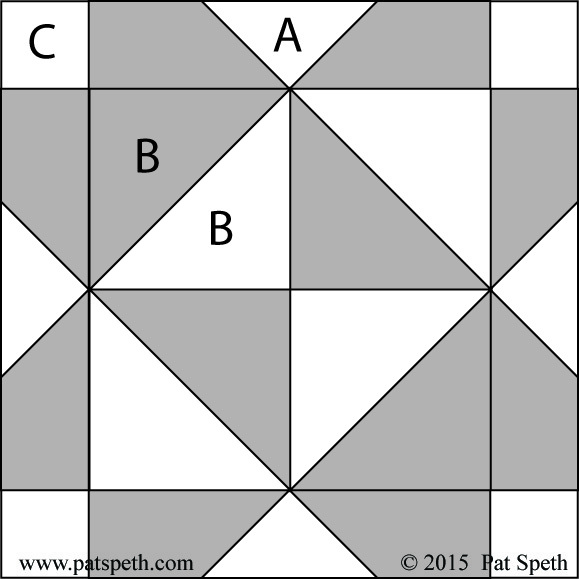 Block #51 uses the Top Units from Light Flying Geese Units. Details of making the units are found here. A – four Top Units from Light Flying Geese units. 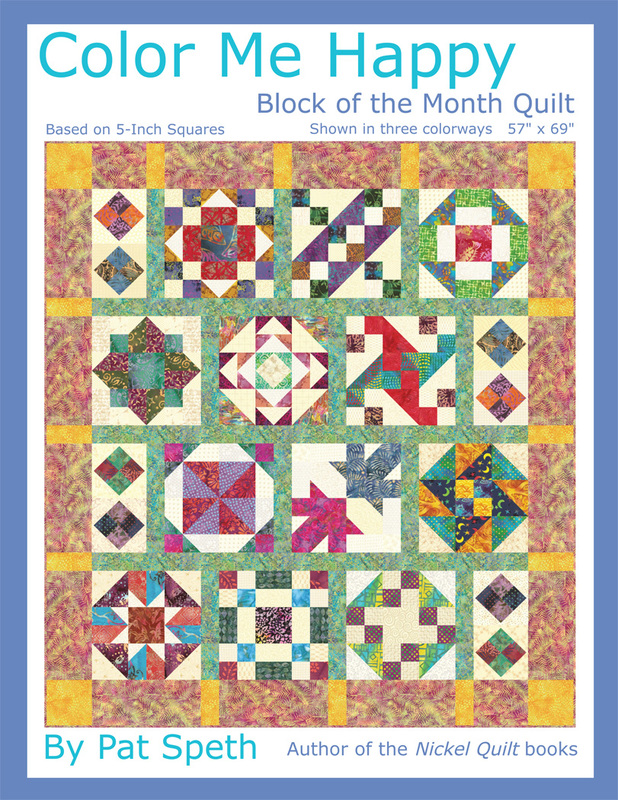 Here is block number #49 of the Deli Geese Block Project! Block #49 Paul Bunyan, uses the Bottom Units from Dark Flying Geese units. Details of making the units are found here. A – four Bottom Units from Dark Flying Geese units.